Imagine A River Runs Through It seen through the eyes of Dave Barry and you'll get an idea of Rich Tosches' sharp-eyed reflections on the art, hobby, and obsession of fly fishing. Armed with a rod, a pen, and an eccentric sense of humor, Pulitzer Prize-nominated sportswriter Rich Tosches headed for the Grand Teton Mountains, site of the World Fly Fishing Championship, and cast a keen eye on his fellow trollers from all over the globe. 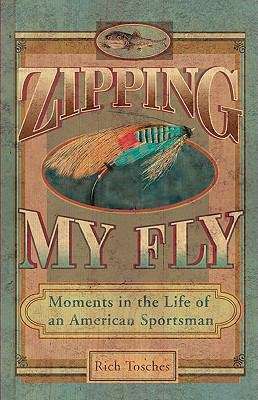 This encounter-and many others during a lifetime dedicated to the pursuit of fly fishing -are captured in a side-splitting collection of observations on every angle-and angler-of one of America's favorite pastimes.